Where is Shoreditch? Well it’s a must-see when you visit London! Once a run-down suburb on the outskirts of London, Shoreditch has undergone a huge transformation over the last two decades to become the creative hub of London. While it was never previously quite so fashionable, many locals now too find themselves asking “where is Shoreditch and what’s it all about?” Regenerated into a hipster hot spot, this inner-east London area is now home to some of the coolest galleries, restaurants, cafes and shops in the country – more often than not hosted in a disused warehouse or an interesting, re-purposed venue. Shoreditch is buzzing with new energy and overflowing with creativity, but the real charm lies in its diversity. Its grubby streets lined with urban glamour bring together the old with the new. Walking around Shoreditch, you’ll be hard pressed to find an empty wall that hasn’t been filled with street art murals from world-renowned artists like Banksy, Stik or Phlegm. 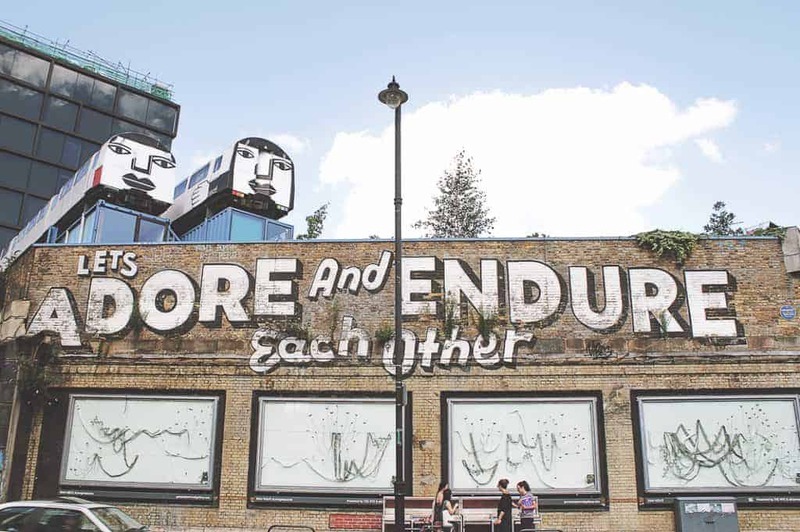 As well as simply walking around and taking in all the surrounding art and inspiration, you can also visit some of the countless galleries, museums and pop-up exhibitions that Shoreditch is known for. 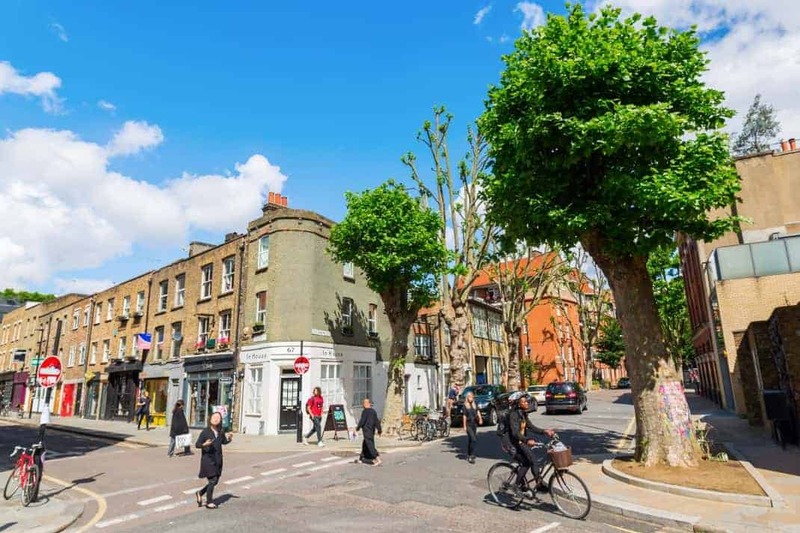 Whether its exploring one of the many markets (especially on Sundays), having a tea at the local cat cafe, or grabbing a bagel from the infamous 24/7 Brick Lane Beigel shop – Shoreditch has something for everyone. So, where is Shoreditch exactly? It is located in the East End, pretty central London. If you’re particularly adept with London borough geography and still querying “where is Shoreditch” then it’s between the boroughs of Hackney, Tower Hamlets, and Islington. You’ll find something to do in Shoreditch at any time of the year. Weekends are particularly busy, especially Sundays when the Columbia Road Flower market and Brick Lane markets are on. So be sure to arrive early if you want to avoid crowds. You should reserve at least 3-5 hours to explore Shoreditch, especially on Sundays when the markets are on. 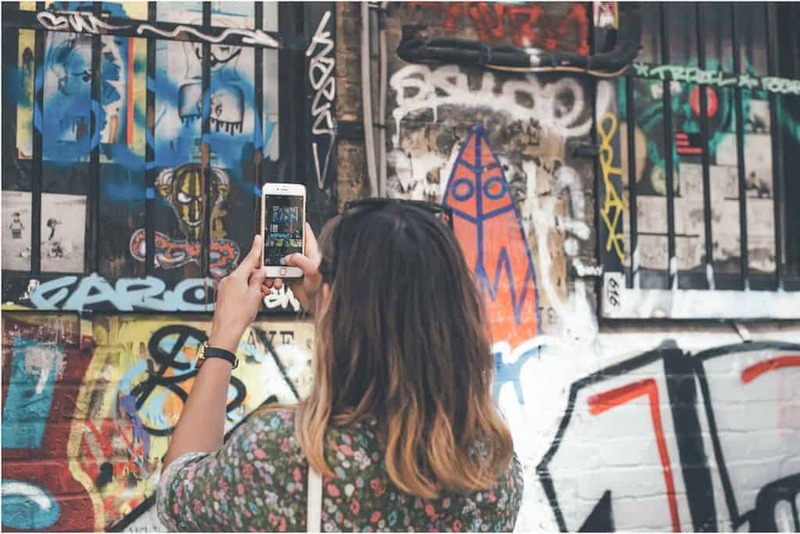 Depending on your itinerary, better spend at least an hour walking around taking in the street art. Then save some time to visit a cafe, grab some food or a drink, and don’t forget you’ll be tempted into many of the local shops and galleries too! Shoreditch is London’s trendiest neighbourhood which means that almost anything goes. This is home to some of London’s most eccentric personalities after all! Generally speaking, east London is more casual than other areas of the city so you’ll fit right in with a pair of jeans, t-shirt and trainers. If you only have time for one thing in Shoreditch then you should spend an hour or two simply walking around, discovering some of the amazing street art that the area is famous for. I am a firm believer that walking through a city’s streets is the best way to intimately get to know it. You’re bound to leave with some memories that will ensure that you won’t find yourself asking “where is Shoreditch” again. Head to Hanbury Street – the street most famous for its art. Then stroll by neighbouring Princelet Street, Fashion Street and Brick Lane, all the way up to Club Row. Explore the Sunday markets. Start at Columbia Road Flower Market – the earlier you go, the better as it gets incredibly crowded, especially on a sunny day. 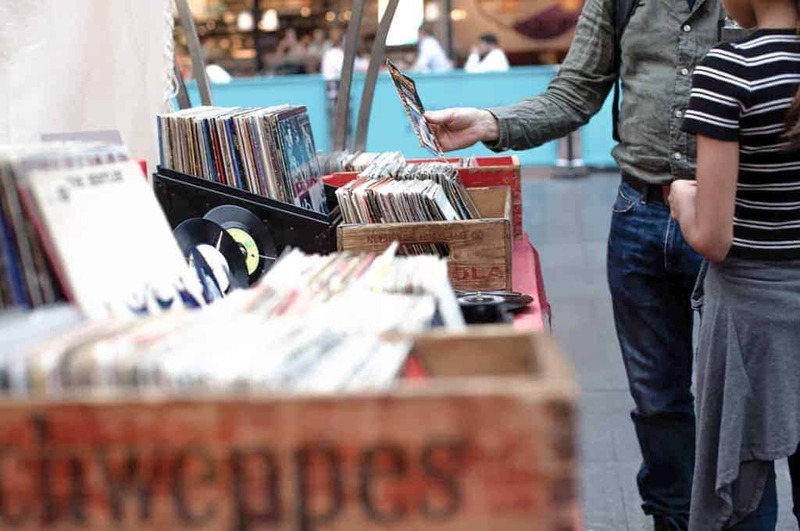 Then head south towards Brick Lane market, and build an appetite as you go so you can stop for some delicious street food or bagels when you get there. After lunch, slowly wind your way over to Spitalfields – London’s oldest market. See London from new heights from the many rooftop bars in Shoreditch. Queen of Hoxton is popular not just in summer but also winter, when they set up a cosy tent and campfires. 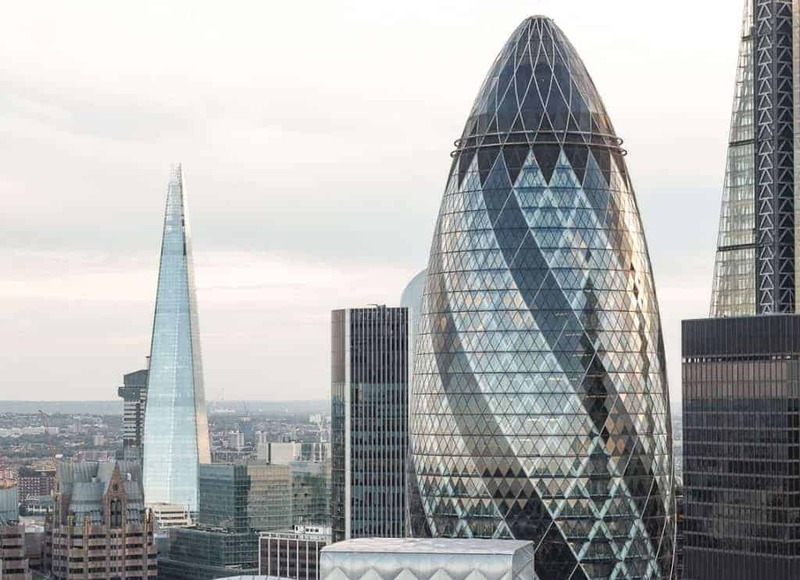 Book a table at Boundary for amazing London views, or head towards the city and enjoy a cocktail at Sushi Samba or Duck and Waffle – a 24 hour restaurant on the 40th floor.